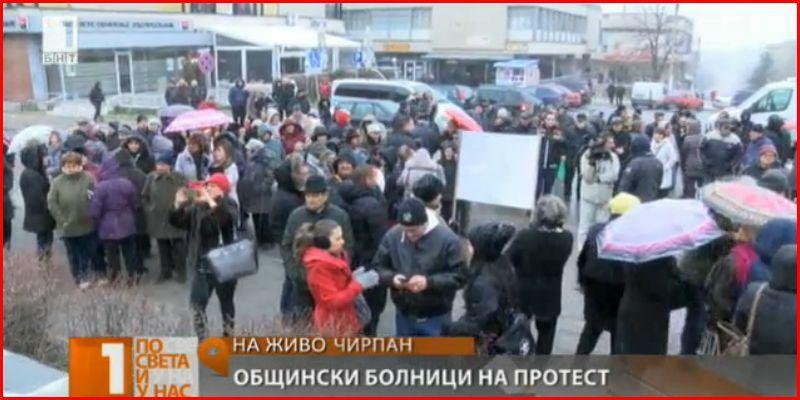 Doctors and nurses from municipal hospitals in 23 towns in Bulgaria are staging protests because of financial problems of the medical institutions. For 1 hour on 15th of January, the medics will stop work. Many municipal hospitals are in difficult financial position, some of them on the brink of bankruptcy. Hospitals have been working with clinical paths since 2006, since the minimum wage has increased threefold, as well as the prices of medicines and health supplies. The first of the medics' demands is to provide a target subsidy for municipal hospitals, to the amount of BGN 30 million from the state budget, not from the money for health. They will be used repay the outstanding liabilities for which suppliers refuse to deliver, as well as the delayed pay of staff. The second demand is to update the prices of clinical paths, as well as to pay the above-the-limit liabilities of all medical establishments. These are the clinical paths that cover the mass pathology with which the municipal hospitals are entitled to work. The third demand is to hold an urgent debate on the future of healthcare in Bulgaria, added Dr. Totev, the Head of the hospital in Chirpan. The medics' protest is also supported by the Bulgarian Medical Association.